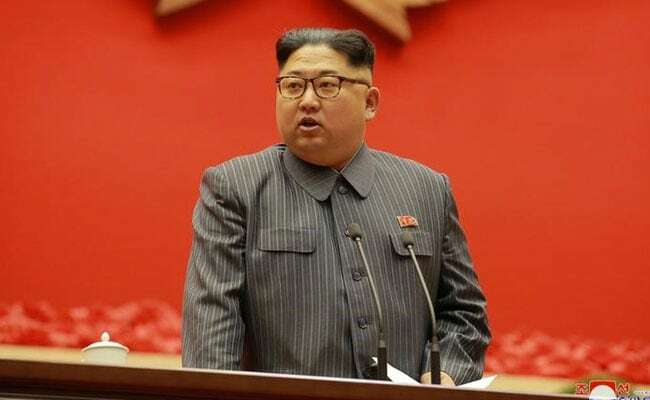 The U.N. Security Council banned North Korean exports of coal last Aug. 5 under sanctions intended to cut off an important source of the foreign currency Pyongyang needs to fund its nuclear weapon and missile programmes. PARIS/LONDON/MOSCOW: North Korea shipped coal to Russia last year which was then delivered to South Korea and Japan in a likely violation of U.N. sanctions, three Western European intelligence sources said. "Russia's port of Nakhodka is becoming a transhipping hub for North Korean coal," said one of the European security sources, who requested anonymity because of the sensitivity of international diplomacy around North Korea. Asked to respond to the report, Kremlin spokesman Dmitry Peskov said on Friday that Russia abided by international law. "Russia is a responsible member of the international community," he told reporters on a conference call. Interfax news agency quoted an unidentified official at Russia's embassy to North Korea on Friday as saying Russia did not buy coal from North Korea and was "not a transit point for coal deliveries to third countries." Russia's mission to the United Nations told the Security Council sanctions committee on Nov. 3 that Moscow was complying with the sanctions. Two lawyers who specialise in sanctions law told Reuters it appeared the transactions violated U.N. sanctions. North Korean coal exports were initially capped under a 2016 Security Council resolution that required countries to report monthly imports of coal from North Korea to the council's sanctions committee within 30 days of the end of each month. The sanctions committee told U.N. member states in November that a violation occurs when "activities or transactions proscribed by Security Council resolutions are undertaken or attempts are made to engage in proscribed transactions, whether or not the transaction has been completed." Asked about the shipments identified by Reuters, Matthew Oresman, a partner with law firm Pillsbury Winthrop Shaw Pittman who advises companies on sanctions, said: "Based on these facts, there appears to be a violation of the U.N. Security Council resolution by the parties involved." "Also those involved in arranging, financing, and carrying out the shipments could likely face U.S. sanctions," he said. The United States has led efforts to toughen U.N. sanctions to force North Korea to give up development of nuclear missiles capable of hitting America. Asked about the shipments, a U.S. State Department spokesman said: "It's clear that Russia needs to do more. All U.N. member states, including Russia, are required to implement sanctions resolutions in good faith and we expect them all to do so." Earlier this month, U.S. Secretary of State Rex Tillerson accused Russia of not implementing all the U.N sanctions and said Moscow "may be frustrating" some of the steps. Tillerson said the Russian failure to comply with the U.N. measures "primarily" concerned fuel "but some other areas potentially as well." A State Department official said it was time for Russia to act. "There is no more time for excuses," the official said. "The world is watching Russia's actions closely." "Russia says it wants better relations with the United States, so Moscow should prove that by cooperating with us, not working against us, on this urgent threat to all nations." The independent panel of experts that reports to the Security Council on violations of sanctions was not available for comment. An independent panel of experts reported to the Security Council on Sept. 5 that North Korea had been "deliberately using indirect channels to export prohibited commodities, evading sanctions." One vessel that used this route was the Palau-flagged Jian Fu which Russian port control documents show delivered 17,415 tonnes of coal after sailing from Nampo in North Korea on Aug. 3 and docking at berth No. 4 run by LLC Port Livadiya in Nakhodka. It left the port on Aug. 18. The vessel had turned off its tracking transmitter from July 24 to Aug. 2, when it was in open seas, according to publicly available ship tracking data. Under maritime conventions, this is acceptable practice at the discretion of the ship's captain, but means the vessel could not be tracked publicly. Another ship arrived at the same berth -- No. 4 -- on Aug. 16, loaded 20,500 tonnes of coal and headed to the South Korean port of Ulsan in Aug. 24, according to Russian port control documents. The Rung Ra 2 docked in Kholmsk three times between Aug. 1 and Sept. 12, unloading a total of 15,542 tonnes of coal, while the Ul Ji Bong 6 unloaded a total of 10,068 tonnes of coal on two separate port calls -- on Aug. 3 and between Sept. 1 and Sept. 8, according to the official Russian Information System for State Port Control. The coal did not pass Russian customs because of the UN sanctions taking effect, but was then loaded at the same dock onto Chinese-operated vessels. Those vessels stated their destination in Russian port control documents as North Korea, according to a source in Sakhalin port administration who spoke on condition of anonymity. Asked about the shipments, a South Korean foreign ministry official said: "Our government is monitoring any sanctions-evading activities by North Korea. We're working closely with the international community for the implementation of the sanctions." The European security sources said the route via Russia had developed as China, North Korea's neighbour and lone major ally, cracked down on exports from the secretive Communist state. "The Chinese have cracked down on coal exports from North Korea so the smuggling route has developed and Russia is the transit point for coal," one of the European security sources said.